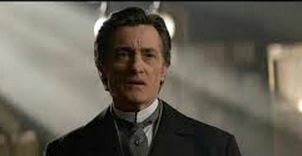 New York (May 29, 2015) – Producers announced today Roger Rees has taken a leave from his starring role in the Broadway musical The Visit at the Lyceum Theatre (149 West 45th Street). “Roger Rees is undergoing a treatment for a medical condition and while the prognosis is bright, he’s currently unable to perform in the show. He’ll be back onstage as soon as he can and we can’t wait to welcome him back”, said producer Tom Kirdahy. Tom Nelis has stepped into the role of Anton Schell during this time. The Visit has been nominated for 5 2015 Tony Awards® including Best Musical. The cast is led by Tony Award® nominee Chita Rivera as Claire Zachanassian. The Broadway cast also features Tom Nelis as Anton Schell, George Abud as Karl, Jason Danieley as Frederich Kuhn, Matthew Deming as Louis Perch, Diana Dimarzio as Annie Dummermut, David Garrison as Peter Dummermut, Rick Holmesas Father Josef, Ken Krugman as Rudi, Chris Newcomer as Jacob Chicken, Mary Beth Peil as Matilde Schell, Aaron Ramey as Otto Hahnke, Elena Shadow as Ottilie, Timothy Shew as Hans Nusselin, withJohn Riddle and Michelle Veintimilla.